The Affordable Care Act’s employer mandate has been in effect for the past three years and IRS enforcement of the healthcare law has begun. At the same time, the healthcare law has made health insurance available to Americans who need it most, particularly those with lower incomes or pre-existing conditions who are either unable to obtain or afford coverage, either on their own or under employer health insurance plans. However, there are still elected officials who believe ACA repeal will take place, as well as some CEOs and CFOs, which may be causing them to ignore the potential financial impacts of ACA noncompliance to their organizations. Until that day comes, the Trump Administration, not a fan of the ACA, is doing what it can to undermine its effectiveness. Essentially, the new rules make it easier for self-employed and other small businesses to band together to form their own associations for the purposes of providing healthcare coverage “that is not subject to the regulatory complexity and burden that currently characterizes the market for individual and small group health coverage.” The employer members of these AHPs need to be in the same trade, industry, line of business, or profession, or to have their principal place of business in the same state, or, if in multiple states, in the same metropolitan area. Under the current regulations, an AHP is considered a single plan only if the association has a purpose or function unrelated to offering healthcare benefits and the employer members have a common economic interest. AHPs provide lower cost but less comprehensive healthcare coverage than required by the ACA. April 1, 2019, for new self-insured AHPs formed pursuant to this final rule. The end result of these new rules, or so the thinking goes, is that this will make health insurance premiums more affordable. The trade-off is that these health insurance plans would be less comprehensive that what is usually required by health insurance plans offered by the Health Insurance Marketplace. Another result of these new rules would be to encourage certain small businesses and the self-employed to avoid the Marketplace for their insurance needs, another step towards making health insurance policies offered by the Marketplace less affordable. The Trump Administration is also pushing to expand the length of short-term, limited-duration insurance from three months to almost a year. These short-term insurance plans offer less benefits when compared to longer-term comprehensive insurance plans that are offered on government healthcare exchanges or by employers under ACA regulations. Insurers offering these short-term plans can turn down applicants because of their medical history and charge higher premiums for preexisting medical conditions, things not allowed under health insurance plans governed by the ACA. The proposed rulemaking allows people to purchase short-term insurance for up to 364 days, an increase from its current term limitation of up to 90 days that was established in 2016. Of course, all this means little to employers who have 50 or more full-time or full-time equivalent employees. These “panacea” plans will not satisfy their responsibilities under the employer mandate. These employers, referred to by the IRS as applicable large employers (ALEs), continue to be required to offer minimum essential coverage to at least 95% of their full-time workforce (and their dependents) whereby such coverage meets minimum value and is affordable for the employee or be subject to IRS 4980H penalties. They also must continue to submit annual information filings to the IRS. 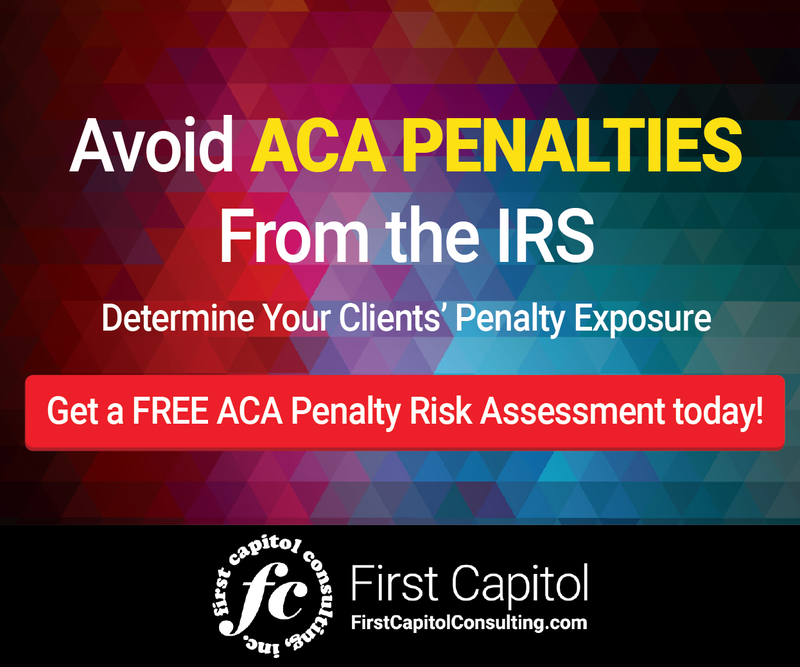 The information in these filings is typically the basis on which the IRS decides whether employers have not complied with the ACA. The IRS has already started enforcing the ACA. 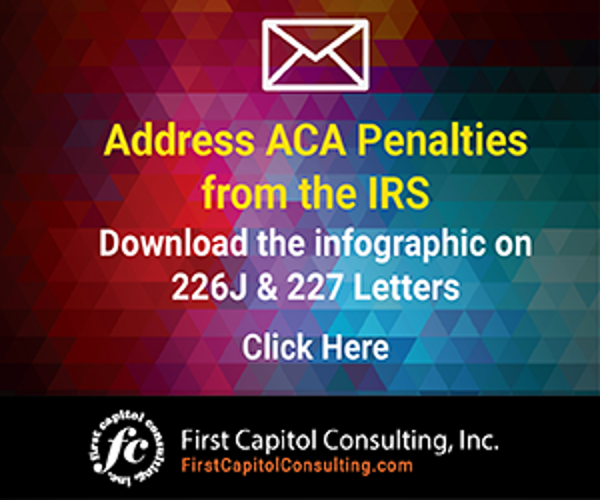 It has sent more than 30,000 Letter 226J notices to employers it has determined have not met the ACA requirements for the 2015 tax year. Those notices represent penalty assessment of $4.4 billion. A report from the Congressional Budget Office has said these fines could total up to $12 billion in 2018. Despite the continued maneuvering by the White House and administrative rule changes, the fact remains that the ACA requirement that certain larger employers provide health insurance to their full-time employees remains, as does the possibility of being assessed significant financial penalties by the IRS for not complying with the ACA. The new rules to expand the use of Association Health Plans will not be a solution for ACA compliance.